For those of you looking for a lightweight yet elegant looking WordPress theme to show off your photography blog, look no further than Fotografie Blog. 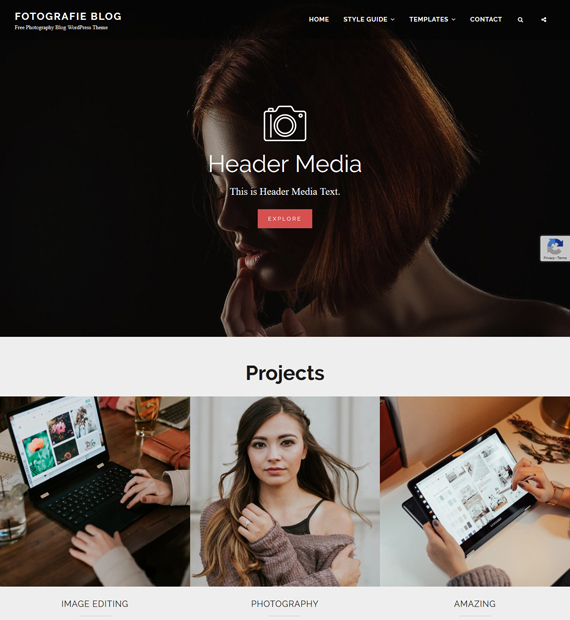 Although created with aesthetics in mind, this simple theme isn’t light on features either with hero content, featured content, portfolio, testimonial, header video, custom CSS, and more. Fotografie Blog is also responsive and will ensure that your site remains beautiful on mobile devices as well.